Chandler’s Roofing, Inc. continues to pick up steam! While we were preparing our end of the year newsletter which included a request to our customers and supporters to help us reach our 10,000th fan on Facebook, we rapidly picked up steam over this past weekend to surpass 11,000 fans. Thank you to all our friends and staff for your continued support in helping Chandler’s Roofing reach its goal of building a loyal following of homeowners, developers, real estate agents, property managers, and other roofing and construction related professionals. As our Facebook and social media presence keeps growing, our capacity to reach and better serve the Southern California community continues to increase as well.  If you haven’t done so already, please take a moment to “Like” the Chandler’s Roofing Facebook page and follow us on Twitter to be kept up-to-date on our company news, events, projects, discounts, and other roofing and construction related content that are specific to you and your property. In our continued effort at becoming “your roofer” and to becoming Southern California’s most dynamic and cutting edge roofing company, we will do our very best as always to remain current and fresh in our tips and ideas for your future roofing, rain gutter, solar, skylight or insulation projects.